Approximately 4 million babies were born in the United States last year. if we knew that in the next five years 800,000 of them would die from one disease, we would stop at nothing until we found the solution to that problem. The situation described above is the kind of scenario faced by parents in sub-Sahara Africa. 1 of every 5 children born in that part of the world will die before they are five years old. A child dies every 60 seconds from the killer disease of malaria. That is over 1400 children every day who lose their lives to a disease that was virtually eliminated in the United States over 60 years ago- malaria. The World Health Organization estimates that 650,000 people will die this year from malaria, most of them children under the age of five and pregnant women. The good news: we know how to stop death and suffering from malaria and great progress has been made. 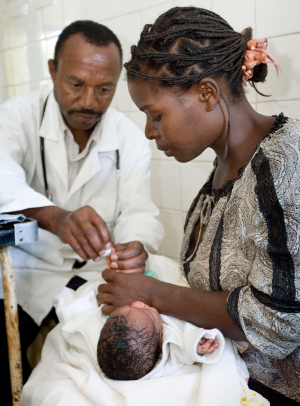 Malaria is 100% preventable and 100% treatable. In 2006 a child died every 30 seconds. That death rate has been cut in half in the past 8 years through the efforts of many people and organizations. 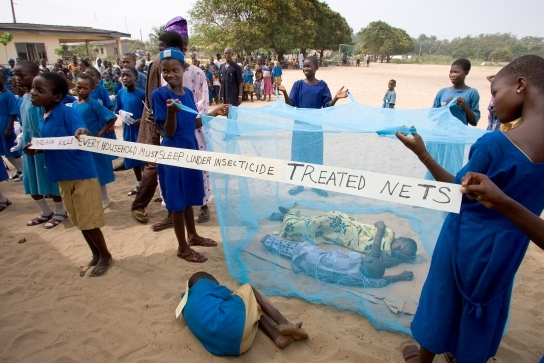 In 2006 the United Methodist Church was invited to partner with several other groups with Nothing But Nets, a highly successful program that distributed insecticide treated bed nets to protect people from being infected with malaria. But more was needed. So in 2008, building on the success of Nothing But Nets, the United Methodist Church established a more comprehensive approach to fighting malaria: Imagine No Malaria. It continues the important task of net distribution and builds on it, adding treatment, education, and communication to bring about a sustainable victory over malaria in this generation. The Bill and Melinda Gates Foundation generously underwrites all administrative costs of the effort so every dollar given goes directly to this ministry. Since 2010 Imagine No Malaria has distributed more than 2.3 million bed nets to protect a family while they sleep at night when the mosquitoes are most active. 11,600 volunteer community health workers have been recruited and trained to deliver those nets and to teach people how to properly use them and to instruct them on other preventive measures. Imagine No Malaria also provides affordable and accessible medications to the more than 300 United Methodist hospitals and clinics in 16 countries of sub-Sahara Africa. 13 national health boards have been established to oversee the work and to seek additional funding sources. United Methodists across the country have contributed $65 million toward Imagine No Malaria’s goal of $75 million by next year. Now we have an opportunity to join them to reach the goal and save millions of lives. Only $10 to save a life. $100 saves 10 lives. $1000 saves 100 lives. 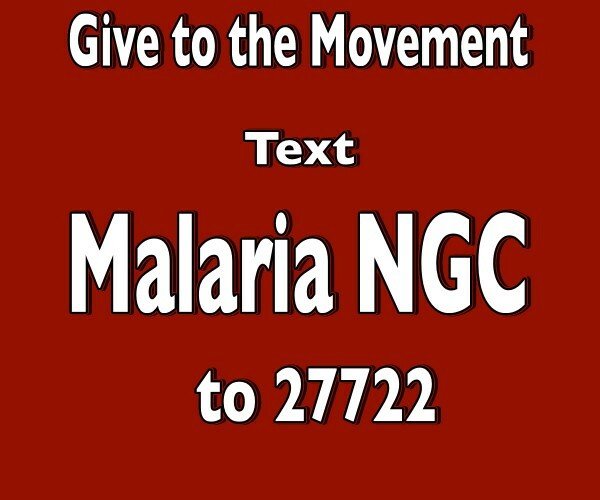 Text MALARIA NGC to 27722 (be sure to leave a space before NGC) and $10 will automatically be donated. Send a check for any amount to the North Georgia Conference, 4511 Jones Bridge Circle, Peachtree Corners, GA 30092 and designate it for Imagine No Malaria. 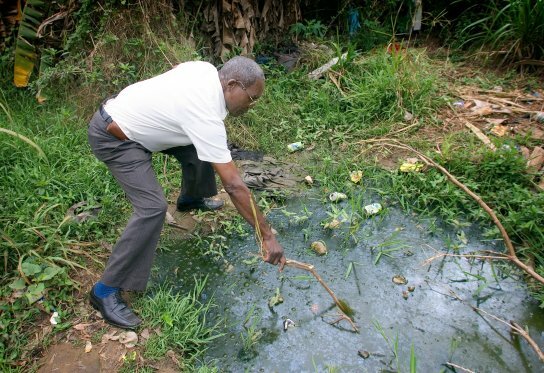 We can do more than imagine no malaria. Together we can make it a reality.